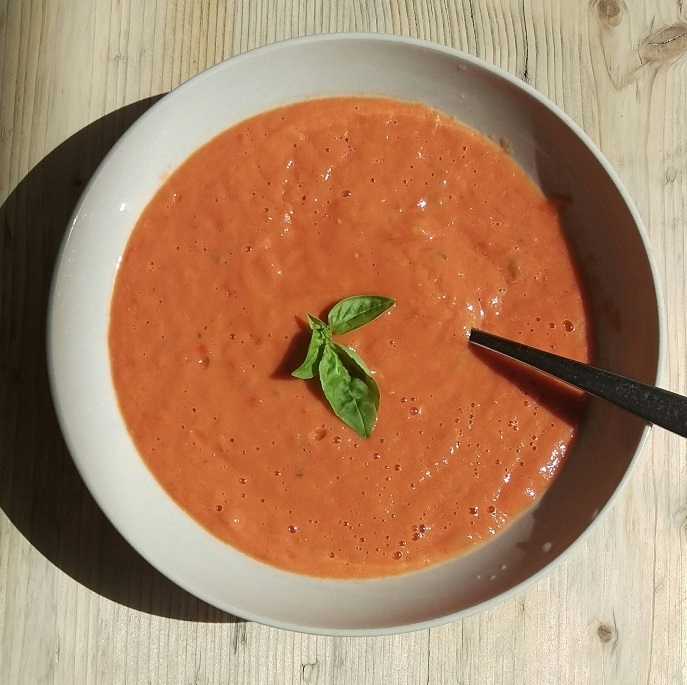 (Raw Superfoods) When tomatoes are ripe and in season tomato soup is one of the most easy and delicious things to make. This is my current favourite recipe, and literally takes 1 minute to make. The tomatoes have enough juice so there is no need to add any extra liquid.